Here is some footage from Dai Yabiky's training during his trip in Europe. He trained at Marcin Glowacki's spot in the south of Poland. Dai is a top stunt rider from Japan. He has to ride alien kawasaki ZX636 04-05 with his own stunt parts. 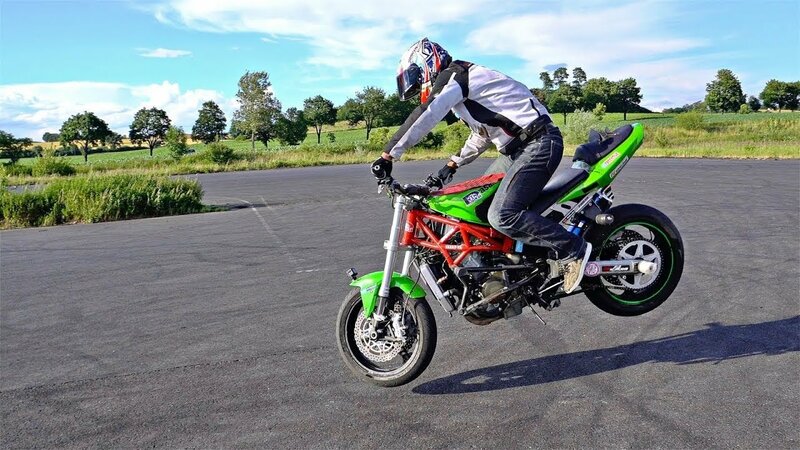 Great problem to recover stoppie 270 and kangaroo 360 because of different frame and fork, but still there are a lot of great stunts.